Looking for the Puttout putting Mirror? Only a ball that is rolled on the perfect line and with the perfect pace (18-inches past the hole had it missed) will stick in the PuttOUT micro-target. Think you can putt to absolute perfection? 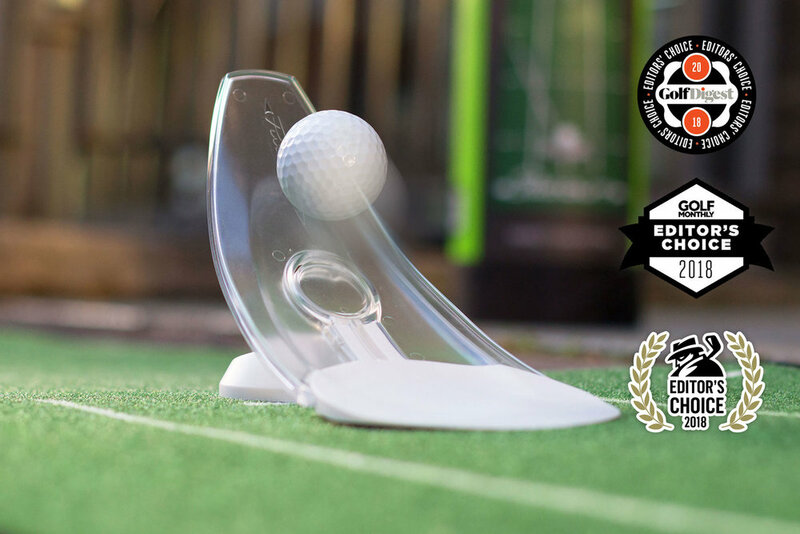 Using a folding design, PuttOUT can be taken wherever there’s space to play - carry it in your backpack, golf bag or even pocket. And when you’re finished, fold it away, out-of-sight in your desk drawer. With the white disc at the base of the ramp replicating the size of a regulation golf hole, anything that rolls over the disc and up the ramp, returning back to the player is a made putt. To be the best putter you can be takes practice. 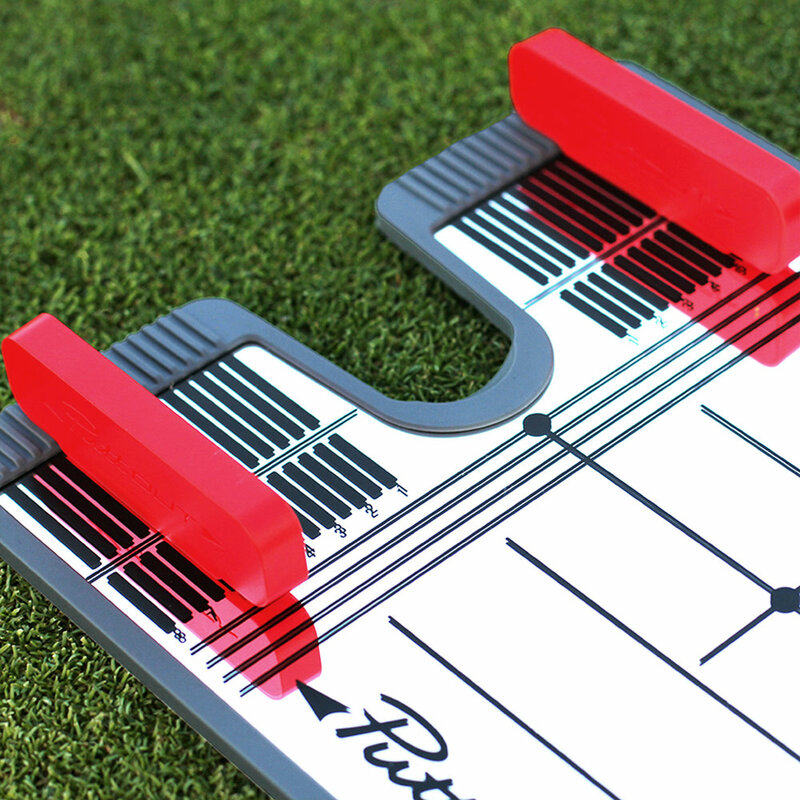 With the PuttOUT Putting Mat you have a reliable base for practicing the most underrated part of anyone’s game: putting. 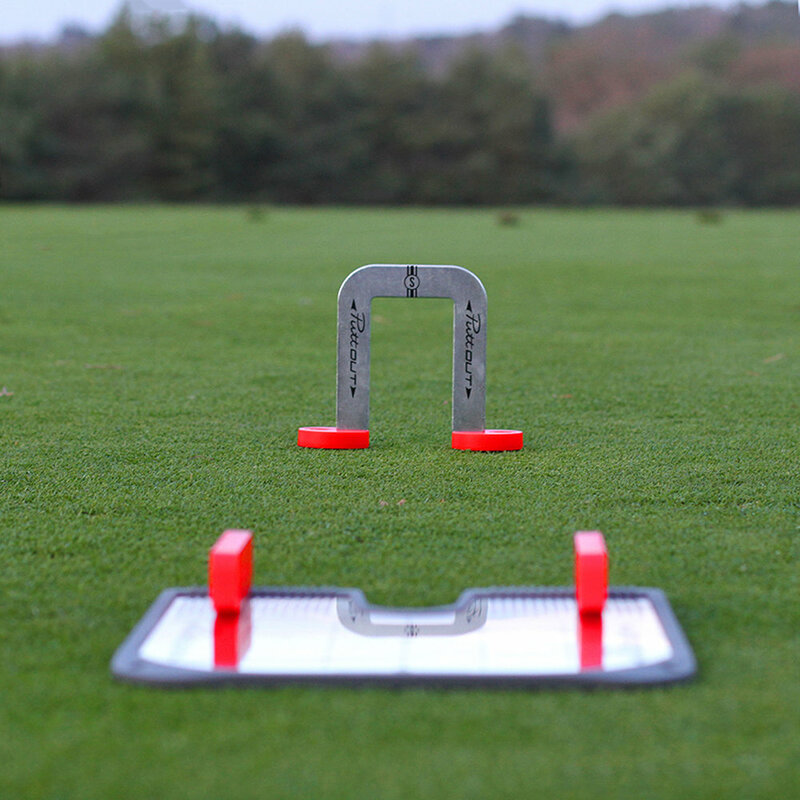 Available in two colours (green and grey) and printed with markings up to 6-feet, alignment lines and pace targets, the PuttOUT Putting Mat is designed to give you the opportunity to practice every aspect of your putting game. Reading 10 on the stimp metre, the PuttOUT Putting Mat means you’ll be practicing on a medium-to-fast paced green away from the course, ready to take on any speeds throughout the season. Cased in a protective, dense cardboard cylinder, our mats stay tightly pressed and crease-free. Paired with a low-profile drawstring carry bag, this is the perfect station to practice putting anywhere, any time. With extra-thick TPR rubber backing, this mat rolls flat straight out of the packaging, giving a consistently smooth and reliable roll, allowing you to focus on making your stroke the best it can be. In a compact three-layer design, the PuttOUT Putting Mirror comprises an anti-scratch coating, a solid steel inner plate to prevent warping and breakage, and a spiked-base rubber surround, holding the mirror in place wherever you choose to grind. Accompanied with two magnetic guides and a 50mm putting gate, this really is the next step up in consistency, repetition and your all-round putting practice. The two vivid alignment guides are adjustable for your putting stroke and can be used as a rail, a gate, a backstop or whatever you best see fit. The guides are 3-inches long, ensuring your stroke remains on a square path for the entire impact section. With a compact, understated design, use the mirror to practice at home, at work, at the hotel or on the practice green. Wherever you need the practice, the PuttOUT Putting Mirror is there to help. Using the guides to ensure the path is square, place the gates a couple of feet in front of the mirror to have the ball is consistently starting on line. If you prefer to putt to midway point, try getting the ball through the gate on its way to the final target on straight or breaking putts.